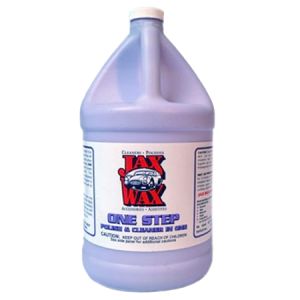 Jax Wax car care products are commercial grade – only the highest quality ingredients (no dilution). These are the same products we sell to car dealers, professional detailers and body shops. We ARE the Manufacturer. SKU: FIN. Category: Waxes & Polishes. Jax Wax Finesse is a light lotion polish designed to remove swirls, light imperfections, minor scratches, from delicate paint finishes. Use Jax Wax Finesse to achieve an Ultra Mirror-Like Finish. Jax Wax Finesse is designed to be used with a high speed rotary buffer, and can also be used by hand to remove slight imperfections and micro scratches. 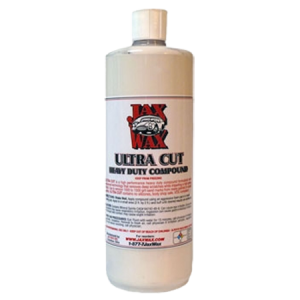 Jax Wax Finesse is designed to be used as a final finishing product to remove swirl marks after compounding or more aggressive polishing. Jax Wax Finesse will also remove water spots and slight oxidation. 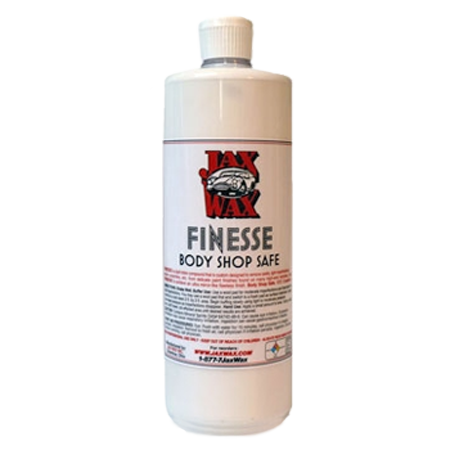 Jax Wax Finesse is Body Shop Safe. After buffing your finish, use a high quality wax to protect and preserve your finish! 1. Shake well before using and occasionally during application. 2. Use a Wool Pad for Moderate Imperfections and Foam Pad for Light Imperfections. 3. You may use a Wool Pad First and Switch to a Foam Pad as Surface Improves. 4. Apply Evenly to a Cool Clean 2' X 2' area. 5. Begin buffing Slowly using Light to Moderate Pressure. 6. Decrease Pressure as Imperfections Disappear. 1. Apply a Small Amount to Area. 2. Using a Microfiber Towel, Rub Effected Area Until Desired Results are achieved. Be the first to review “Jax Wax Finesse” Click here to cancel reply.